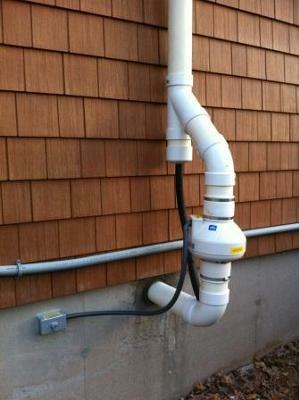 One of my Radon systems. 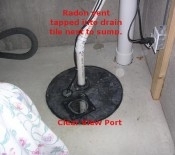 I had two radon systems in my house when I bought it and the radon level was still high (around 8 pCi/L). The fans were pulling very high vacuum so I ordered some large fans from IAHA but it turns out (after I ordered the fans) whoever installed the original systems did not dig any pits. I assumed that the pits in the original system were dug properly and that there were just tight soil conditions but I guess you should never assume anything. After digging the proper pits the fans I ordered ended up being too large so I had to return them for smaller fans. Val was very helpful during the process and shipped the new fans promptly. 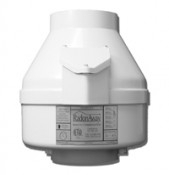 I would recommend indoor-air-health-advisor.com to anyone needing or wanting to install a do it yourself radon system. The customer service is excellent and the prices are the best I have found. My radon level is now 0.4 pCi/L.